The first heat wave of the season was rolling across the Bay Area which got me to do something I rarely do at home - get up early. I had gone on a bike ride yesterday in the middle of the day and aborted it because it was too warm out and I was still trying to get over a cold. Today I figured it would be much nicer if I started earlier and finished up before noon. It had been more than a week since I'd been up a summit, so I planned to combine this to make one of my occasional bike & hike series (patent pending). 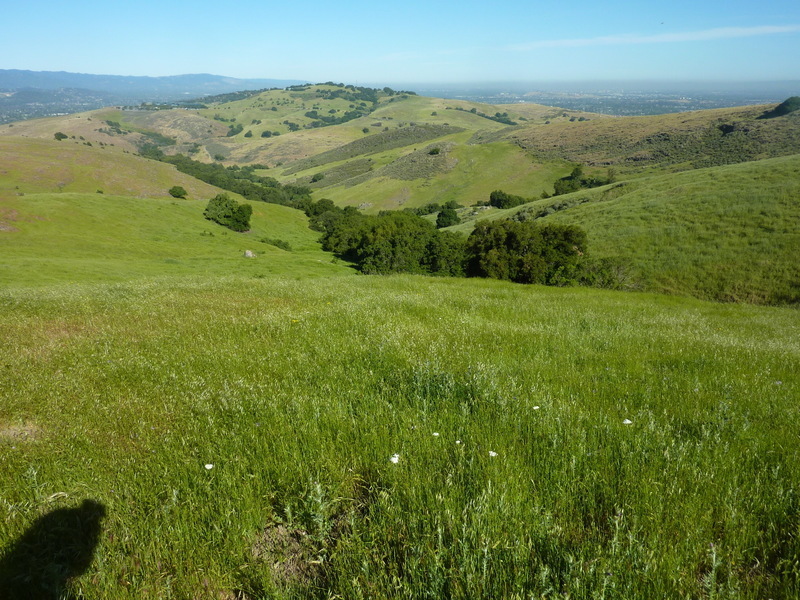 The Santa Theresa Hills are located in South San Jose, separating Almaden Valley to the west from Coyote Valley to the east. The county park occupies the southern half of the hills, while other areas are taken up by a golf course, an IBM research center, and suburban development. I had visited Coyote Peak once before more than eight years earlier when I made it a near drive-up. This would be a more "proper" way to visit the summit.